Schools and many businesses throughout Boone County were closed due to blizzard conditions Monday morning, Jan. 22. Snowfall depths of 12 to 18 inches were forecast across portions of North Central and Northeast Nebraska, with winds of 30 to 45 miles per hour. Visibility was very limited. Travel was extremely difficult and not recommended. 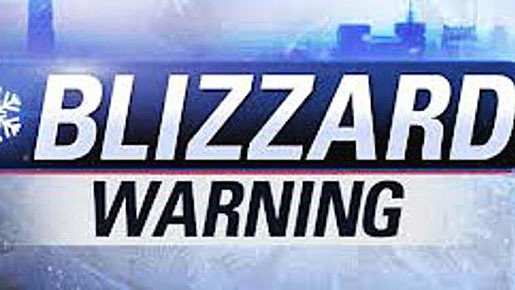 The blizzard was expected to continue through 6 p.m Monday. – All area schools were closed Monday, and the Boone County Courthouse was closed. – All Boone County Health Center Medical Clinics in the area were closed Monday. This includes the Albion, Elgin, Fullerton, Newman Grove and Spalding clinics. – Visitation and Funeral services for Jeff Bussey will be postponed a day due to the storm. Visitation is now set for 4-7 p.m. Tuesday, Jan. 23, with a wake service at 7 p.m. in St. Michael’s Church. Funeral mass will be at 10:30 a.m. Wednesday, Jan. 24. – The Luettel land auction, originally scheduled for Jan. 22 at the Petersburg Legion Club, will instead be held Monday, Jan. 29, at 1:30 p.m. at the Petersburg Legion Club. City of Albion had issued a Snow Emergency effective throughout the day on Monday. – Fairview Street from Highway 14–39 to Eleventh Street. Snow removal was on emergency routes only. It will begin in residential and downtown districts as soon as practical following the snowfall. Expected high winds may delay or hinder snow removal efforts.